Upon the conclusion of Tanzanian President Jakaya Kikwete’s 2-day visit to Kuwait on 07 May 2013, the Kuwait government promised to strengthen bilateral links with Tanzania as the country follows a sustainable development path. 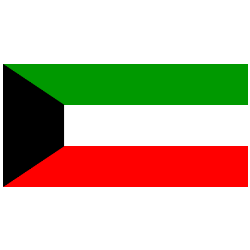 Kuwait Prime Minister; Sheikh Jaber Al-Mubarak Al-Hamad Al-Sabah said that Kuwait was prepared to assist all sectors of the Tanzanian economy and that Kuwait Government is impressed with the Tanzanian Government’s policy achievements. Tanzania’s President Kikwete responded “You are our true friends and that is why I came here to bolster the cordial and brotherly relations that we have been enjoying. Since we have already cooperated in many areas, we expect continued cooperation”. On his tour, President Kikwete visited one of the largest oil companies, an expected activity considering Tanzania’s recent oil and gas discoveries and the country’s expected growth in the oil and gas sector. The visit to Kuwait is also historic as Kikwete becomes the first Tanzanian President to visit the state of Kuwait, although he had visited while he was Tanzania Minister of Finance in 1995. Kuwait Tanzania relations has developed since the 1970s when Kuwait assisted Tanzania in various sectors including construction of Mwanza Textile Mill and Southern Paper Mills, the recent historic visit by Tanzanian President Kikwete seals the two nation’s long established relationship.